The “WOODLAND” paintings are my illusory interpretations of the wilderness areas of the Upper Peninsula of Michigan, its forests and undergrowth. The living communities of the earth unbound by human exploitation are the inspiration which drives me to paint, as much as my imagination will allow, the under reality of living organisms as they breathe in their own light, moisture, and air. The 17’ mural was painted from studies of the forest painted “live” in this primal woodland itself-among the wet leaf litter and surrounded by insects and the breath of leaves turning in the wind. 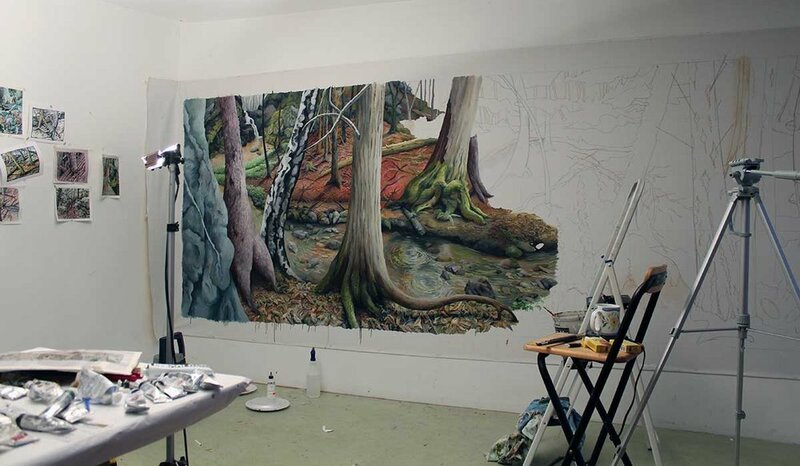 I painted the mural over one year in my studio in Los Angeles using my memory and hundreds of sketches created in the old-growth Michigan forests of Marquette County. 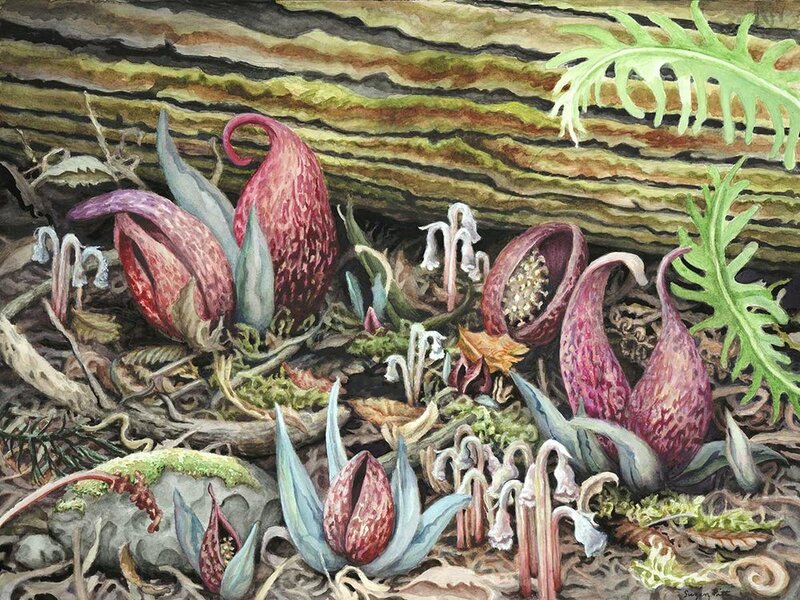 As I walked through the forest I would sometimes come upon something which startled and surprised me - the pale white Indian Pipe, the native orchid Pink Lady Slipper, Jack in the Pulpits, Fungi, and blooming mosses… and so I wanted to make the paintings for the WOODLAND series mirror those vibrant surprises, electric almost, precious and surprising. Great pains were taken to pass beyond landscape painting into an interpretive personal world of imagery…, the surreal and hyper-real, of my mind’s eye. The timber industry calls it “stumpage” but I call it “wonderland”.